This is part two of the “Dr. Sebi’s Cell Food – Herbal Cleanse” article. Of course, diet is key and here are some suggestions to assist you in your cleanse and your efforts to change your diet. Stay away from dairy,  eggs, soy,  and if you are going to eat meat, buy certified organic if possible. Drink a lot of water. Dr. Sebi suggests one gallon a day. I drink as much as I can. It helps if you carry a water bottle. It helps you remember to drink. I personally do not drink Dasani, I have a habit of reading labels for *everything*. A great habit! Dasani is made by Coca-Cola, and it has questionable additives. Pepsi owns Aqua Fina. Anyway, before I get off track, just get in the habit of reading labels. Eliminate white rice or brown rice and cook with Quinoa. You cook it as you would rice and it contains high protein and calcium. Garbanzo Beans, also known as chick peas are used to make Hummus and is delicious. Grilled Portabella mushrooms help me fill in the void, when you feel like eating meat. Amaranth is great for baking and is high in Calcium. You can cook it as you would Oatmeal, but it takes too long in my opinion. Stay away from Oats. It is very starchy and can be allergenic. My family eats avocado on a regular basis. Guacamole is delicious and nutritious! I love Bell Peppers, which I grill with Chayote, Portabella mushrooms, Okra, Yellow onions, (avoid red ones), Mexican squash (Calabasita), and Zucchini. Season it with extra virgin olive oil, sea salt (no other) and perhaps cayenne pepper. If you like Cilantro (assists with heavy metal cleanse, chelation), that is delicious as well and basil leaves are very good and helps in production of milk in lactating mothers. I love home made almond milk. It is great for smoothies. Although I do not agree with some of Dr. Sebi’s spiritual and philosophical views, I do not deny his knowledge of herbs. I would not deviate from this diet and you will see tremendous change in your vitality and clarity of mind. This is an excellent diet if you are looking to recover from Yeast Infections due to Candida Albicans, except that I do not suggest eating nuts or beans at all, and do take the probiotics available at DaughterNature.com. I had systemic yeast infections for 18 years and these probiotics worked within one week! Thank you for sharing this with family and friends and for visiting our Family Forum! Daughter Nature owner of DaughterNature.com and is passionate about our families’ well-being. She seeks to inform and educate readers on various health related issues, in particular issues linked to nutrition. its a New Year and I been eating bad stuff all my life. Fortunately I haven’t contacted any disease as of yet, so before that happens I want start a new. Give my body a chance to survive and feel powerful once again. I want to subscribe to your website to learn new and better ways to take care of myself and family. Thank you very much for all you done for our people. Please clarify where you see we instructed our readers to eat animal protein? This list of fruits, vegetables and grains were given to us by Dr. Debi’s office a few years ago. What is wrong with eggs? 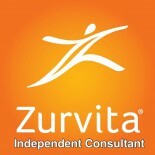 This entry was posted on June 22, 2010 by Zurvita.com/HealthRoads in Diet, Ingredients, Reviews and tagged alkaline, daughternature, Dr.Sebi, electric cell food.